The above image is the first thing little baby Oaklyn Selph saw when entering this world. How friggin' terrifying would that be. 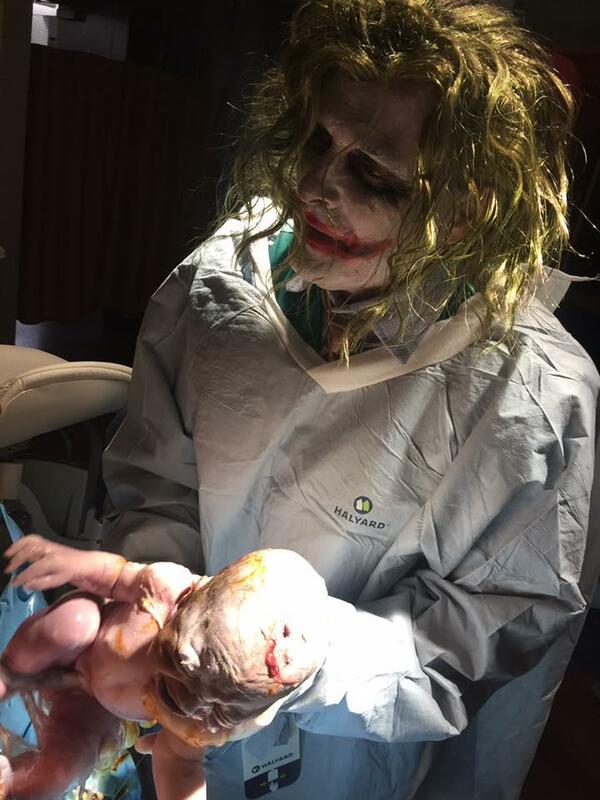 A husband's photos of his wife's delivery have gone viral after the doctor dressed up as the clown prince of crime for Halloween: Heath Ledger's Joker from The Dark Night. 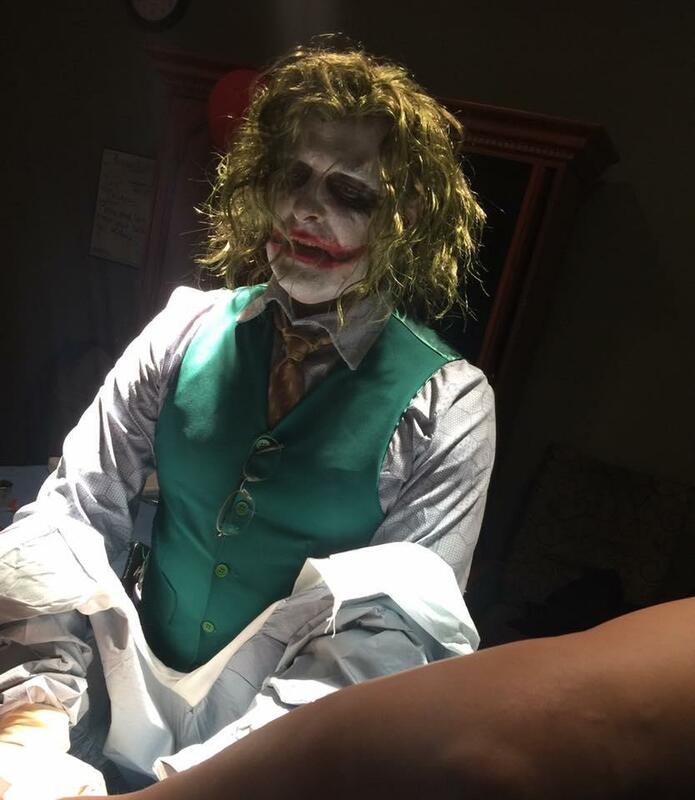 Dr. Paul Locus, a Tennessee obstetrician, was dressed as Batman's nemesis on Halloween night, complete with makeup and dyed hair. He told Justin and Britany Selph he was planning on heading home to change before coming back in to deliver their third daughter, Oaklyn. 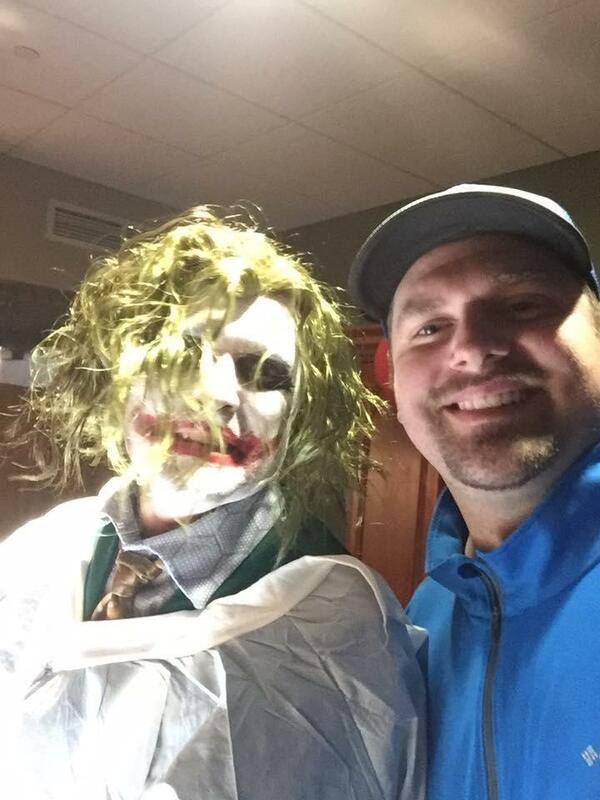 But Justin Selph told The Sun his wife found the costume "hilarious", and asked him not to change. "My wife, being the open-minded woman with a sense of humour, thought it would be hilarious to have such a unique delivery," Selph said. "There my wife is, staring the Joker straight in the eyes while delivering our baby, what a sight! I was holding her leg up, and snapping pictures." The photos have been shared around the world, but Selph says hospital staff drew the line at filming. "I was going to go Facebook Live, but the nurse cut me off!" Dr Locus was apparently so into his character, he continued it into the next morning. "The next morning, he came in to check on Brittany, and he said 'Sorry I couldn't make it in last night, glad to see the delivery went well,' Joking of course,' " Justin told People magazine. 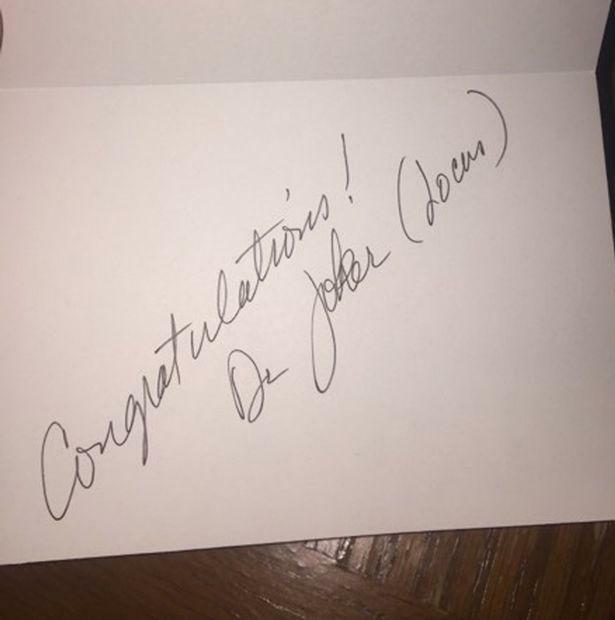 "He also gave her a card of congratulations, and he signed it 'Dr. Joker.' "